When Nets general manager Billy King added Paul Pierce, Kevin Garnett, and Andrei Kirilenko to the roster in the summer of 2013, he appeared to have assembled a (ludicrously expensive) team that could give the Miami Heat a legitimate challenge for Eastern Conference supremacy. The results were decidedly less impressive than that best-case scenario. After a horrific start to the season, head coach Jason Kidd and his veteran group improved enough to win 44 games and earn the No. 6 seed, from which they defeated the Toronto Raptors in the opening round of the playoffs. However, that achievement obscured the extent to which the Nets really weren't a player in the East. We found that out especially clearly in the next round, where they were dispatched by the Heat in five games during which the favorites didn't even look especially engaged. Like many teams in the East's half of the playoff bracket, the Nets were present without ever looking especially strong. It's arguable that things just went especially poorly for a team with plenty of talent to contend for a conference championship. Deron Williams regressed from perennial All-Star to a player capable of going scoreless in a big playoff game, Garnett battled injuries and was tasked with too many defensive responsibilities once Brook Lopez was lost for the season, Lopez was lost for the season after 17 games, Kirilenko never seemed to integrate himself into the side well enough to thrive, and Kidd often seemed not to have a decided tactical advantage. Now that Kidd is gone — along with the petty power struggles that defined his lone season in the job — and former Memphis Grizzlies head coach Lionel Hollins is in, it's possible to envision the 2014-15 Nets as a far superior defensive team that can improve steadily on offense with a return to form from Williams and a healthy season from Lopez. They're not that far from becoming one of the conference's top teams. The problem with that scenario is that believing a reversal of fortune to be likely requires several leaps of faith. 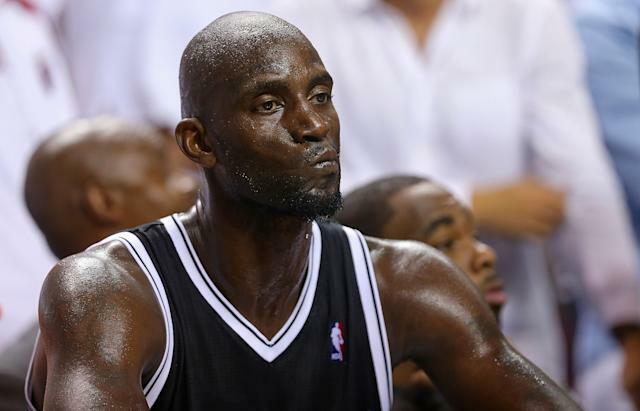 Hollins is an excellent defensive coach, but Garnett turned 38 in May and Lopez is not a tremendous defender. Many people have said that Williams will return with a vengeance this season, but the preseason is usually full of unrestrained optimism. And who will replace the production of Pierce, now suiting up for the conference rival Washington Wizards? Can Croatian 2011 second-round pick Bojan Bogdanovic, finally in the NBA after years as a star in Europe, adjust to the American game immediately? The Nets still have a high ceiling, but enough questions remain that it seems difficult to envision everything going their way. It would not be especially shocking to see them get worse in 2014-15. Mikhail Prokhorov threw money at a problem and discovered that it was no longer 2007. Maybe a little. Losing Pierce opens up a hole in the lineup, but the future Hall of Famer is at a point in his career where his reputation outweighs his abilities. Bringing Bojan Bogdanovic over from Fenerbahce could help — he has a reputation as a shooter, although he's also coming off one of his worst season from the perimeter in recent years — and Jarrett Jack is a very good backup point guard despite his penchant for taking questionable shots. The Nets can also help for improvement from Deron Williams, who must be glad to be a few months removed from his scoreless performance against the Heat in Game 2 of their playoff series; Mason Plumlee, who may have learned a great deal as Team USA's resident four-year Duke graduate during the FIBA World Cup; and Brook Lopez, who is no longer injured and should return as one of the NBA's best post scorers. 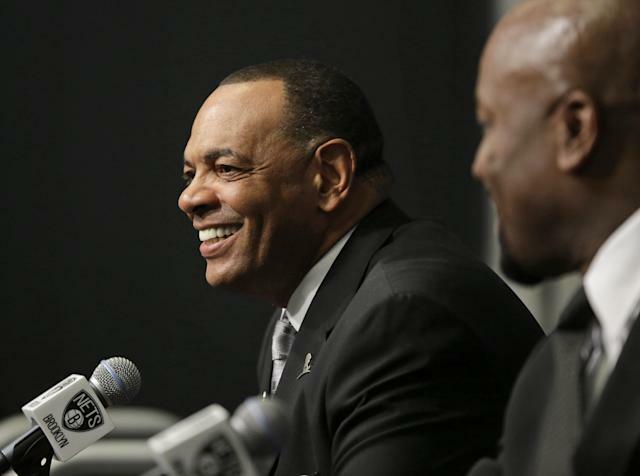 Plus, Lionel Hollins is one of basketball best-regarded defensive coaches. On the other hand, the offseason is several months long, and this team can't really afford to get any older. Hollins probably deserves this spot, but if we limit the answer to players on the court then Jack wins out. In the quietest summer of the Prokhorov era (which still had the Kidd kerfuffle), the Nets added a solid backup point guard who can take pressure off Williams just as the departed Shaun Livingston did last year, hit enough shots to serve as a threat, and fit into the locker room as another experienced player. (Jack is also one of the best interviews in the NBA, so he doesn't figure to have a problem dealing with the New York media.) He's not a star, but the Nets need all the depth they can get. This team is very old at the top, to the point where it's hard to see too many key players improving to the extent that the Nets need to contend. Garnett hasn't played more than 71 games in a season since his last year in Minnesota, Lopez's 74 games in 2012-13 came in between campaigns of only five and 17 games, and Joe Johnson has been roughly the same player since 1973, if my memory is correct. Some teams have bad injury luck or disappointing seasons at random — this Nets group appears to have it hard-wired into their construction. Deron Williams's season was not nearly as bad as his 0-of-9 game against the Heat, but that nadir did serve to indicate just how far he has fallen in the estimations of most NBA analysts. Williams averaged 23.3 ppg and 10.0 apg, stellar classic numbers. However, his 17.1 PER was easily his lowest mark since his second season. Williams is still very good, but the Nets are paying him like a superstar. He will need to return to the league's elite if the team is to meet its lofty goals. Mason Plumlee was a pleasant surprise in 2013-14, filling in for the injured Lopez with quality defense and good-enough offense to help turn around the slow-to-start Nets. He is perhaps earning more national attention than he deserves — Plumlee almost certainly would not have made Team USA this summer if not for his relationship with Mike Krzyzewski — but it's not tough to see Plumlee improving to become a dependable NBA starter at center in 2014-15. His development will be particularly important given the often fragile health of Garnett and Lopez. If all three stay healthy, the Nets could have one of the best interior trios in the league. Garnett and Lopez miss only a few weeks combined, Willliams returns to obvious All-Star status, Kirilenko becomes a lockdown defender again, Hollins makes the defense elite, Joe Johnson does not turn to dust, and the Nets get some breaks in the postseason to make the conference finals. Garnett and Lopez miss several months apiece, Williams finds that he fell to a new plateau instead of a momentary valley, Hollins has a minimal impact, and the Nets fail to make the playoffs in a bad conference.